Thanks to Mr S and his common sense, I no longer have to listen to the ersatz music accompanying the Couch 25K app and can get my funk on to the Chilli Peppers. Yay! So, the update is that I am still somewhat stuck on Week5, Run ﻿1 which is 5 running x 3 walking, three times. I had another running week off as I was doing 7k walks with the dogs, and was completely shattered with the constant vigilance that a new introduction to the household demands. But, I went out on Monday for my first run in the dark with just my Rosie and it was totally amazing! Running for 5 minutes now seems nearly natural. I had my high vis on, Chili Peppers on loud and my little dog happily jogging along, this run was as close to perfect as I have had. I decided to push myself and speed up a little, nearly running FAST! Todays run was a little shorter than usual. Never mind, better luck next time. Erm, Pardon me, Better luck next time?? What cheek, it was shorter because it was FASTER! Stupid app. Mr S of course found this hilarious, that I had 'been dissed' by my very own phone. I'm still looking forward to tonight's run though. Tuesday found me at quilting class at The Crafty Fox, we are learning to make a flying geese quilt. So exciting! (Doesn't take much you say....) I have of-course set myself a mind puzzler of a quilt because I have a bundle of very cute but very limited size-wise vintage fabric so have not yet had the courage to cut up my stash. To further complicate matters, I want to sew geese of varying sizes so will have lots of measurements to calculate for homework. In just one lesson, I have an even greater respect for Quilters, it is such an amazing skill. Today (Wednesday) found me wrestling a large stinky recalcitrant Labrador down our road. On Tuesday, I came back to find a very smiley dog with it's head poking out of my very crooked wooden blinds. Rolo had managed to escape from the kitchen. He cries piteously when he is separated from the family but I can't trust him with the full run of the house alone and unsupervised, so today I made sure to pull the door completely closed and locked the stair gate in front. I had a quick dash round the shops and was horrified to open my front door to be greeted by a Golden Blur dashed past into the street almost knocking me off my feet and in hot pursuit of a Little Old Lady walking a Westie. Luckily, said Lady was sensible and stopped calmly to let me catch the great hooligan who was giddy with excitement at his own ingenuity. I hadn't stopped to get the lead so ended up dragging a very twisty Rolo by the collar who was digging his heels cartoon-like, just like Scooby Doo being forced to follow the 'ghost'! He does make me laugh so, he is such a cheerful, playful dog, it is like he wants to live life to the full after coming so close to the chop. He is off on a day-trip at the weekend to visit a prospective family and while I will be very sad to see him go, tears will be shed but deep down I hope he does get on well there. He deserves a permanent home and we are becoming very attached. of course you mistook them... it wasn't intentional (I blame the jogging and the 60s vibe, very ladies with martinis in the afternoon). 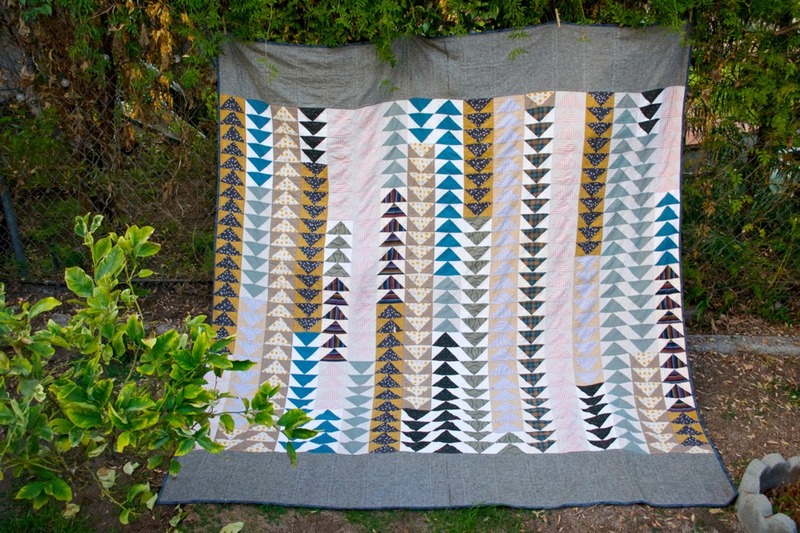 The quilt looks fab, good luck... Have you checked out Kaffe Fasset, his quilt and the colours he uses are amazing... there is a book, that i picked up 2nd hand for a friend (you may be sitting beside her at the class ;-) ). A lovely post! Well done on the running - you're a better woman than me - and it sounds as though you're getting there, despite your app's advice... The quilt is an excellent idea: it's so nice to plan and see it coming together. I'm off to the Knitting and Stitching show this week, so am looking forward to some planning and sewing myself! And tipsy at the school gate?! Brilliant! You'll be the talk of the playground..! No blog, I'm afraid, although I always liked the idea! I commented here a month or two ago as 'Louise' but have stuck 'the knit nurse' after it to link up with Instagram, which I do like. I have grown a bit lazy of late and my comments have dwindled - sorry! - but am trying to pull my socks up again and make an effort! My husband thought of the knit nurse title and I love it but it is a tricky one to say to people, as I keep insisting that it's "knit with a k"!